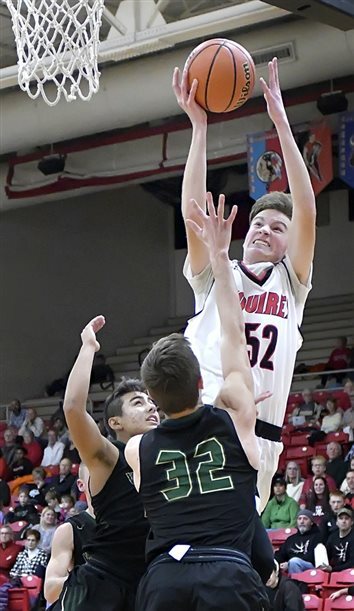 CONVERSE – The Manchester Squires were ever so close to winning their first boys basketball sectional title in nearly a quarter-century Saturday night. 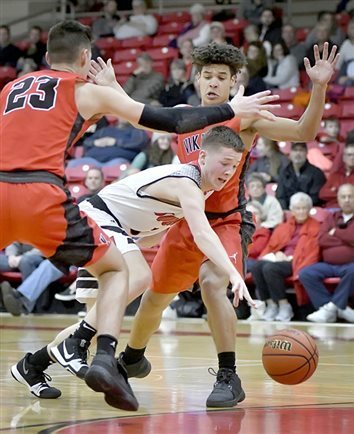 CONVERSE – The Manchester Squires started hot Tuesday. 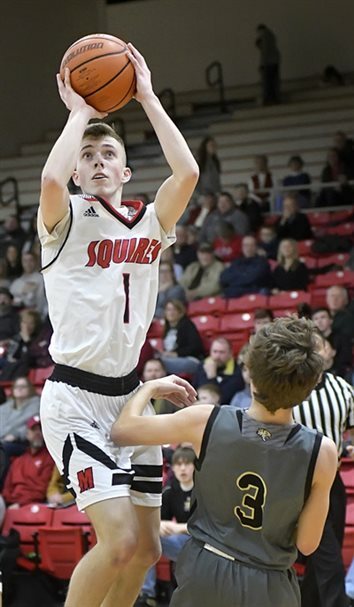 NORTH MANCHESTER – Though they are one of just two teams in Class 2A Sectional 37 with a winning record, and they wouldn’t face the other until Saturday’s championship game, the Manchester Squires aren’t overlooking anyone. 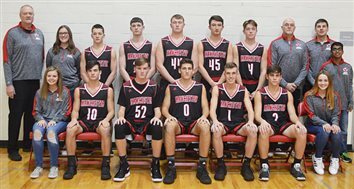 SOUTH WHITLEY – Every time Manchester inched closer, the Whitko boys basketball team pulled away. NORTH MANCHESTER – Manchester had no answer for Columbia City’s Mitchell Wilson Tuesday night. 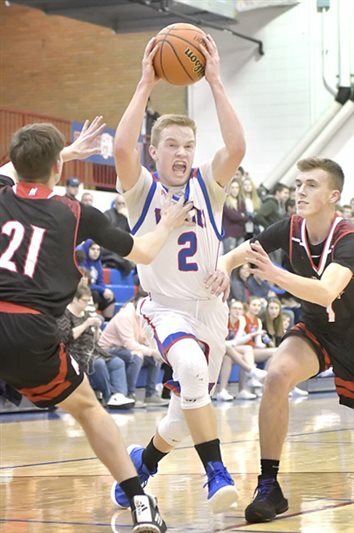 NORTH MANCHESTER – Both the Manchester Squires and the Peru Tigers were looking for an upper hand Friday night in their Three Rivers Conference high school boys basketball clash. 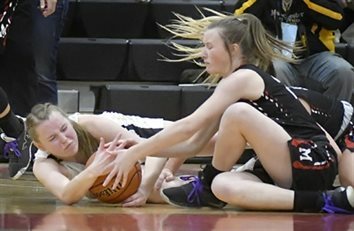 NORTH MANCHESTER – Fifth-year Manchester High School girls basketball coach Jake Everett probably couldn’t have summed up Monday’s Class 2A Sectional 37 championship game any better. 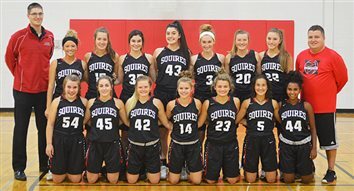 NORTH MANCHESTER – The Manchester Lady Squires will play for a girls basketball sectional championship tonight. Five-foot-6 senior Kennedy Fierstos made sure of it. 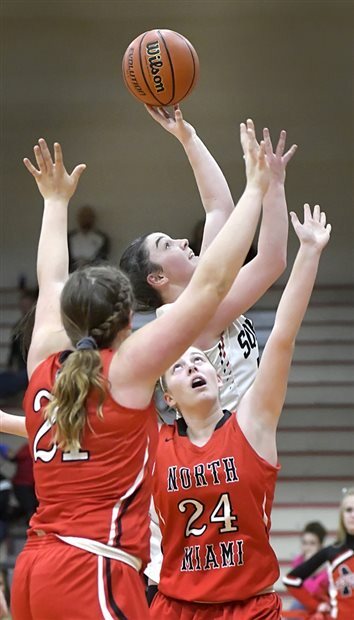 NORTH MANCHESTER – Played three days after it was originally scheduled, Friday night’s Class 2A Sectional 37 first-round game was definitely worth the wait for the Manchester Lady Squires. 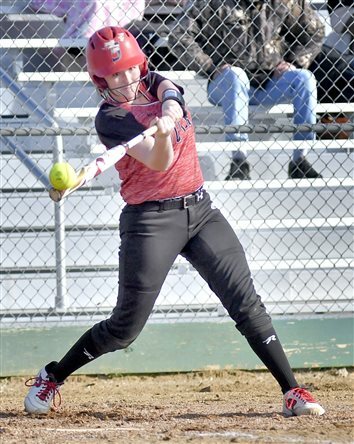 NORTH MANCHESTER – To say the Manchester Lady Squires are taking some momentum into this week’s Class 2A Sectional 37, one that they will host, would be an understatement. BOURBON – What a way to prepare for the tournament. 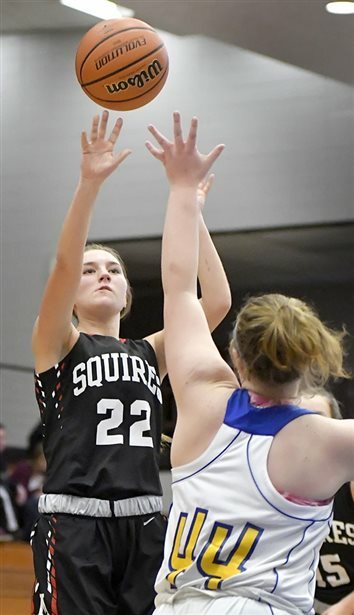 NORTH MANCHESTER – A dominant fourth quarter by North Miami Saturday night led to the Manchester Lady Squires’ first Three Rivers Conference basketball loss of the season. ROCHESTER – The Manchester High School wrestling team picked up a tournament championship Saturday, giving the Squires some momentum heading into the Christmas break. NORTH MANCHESTER – Manchester was so close Friday. 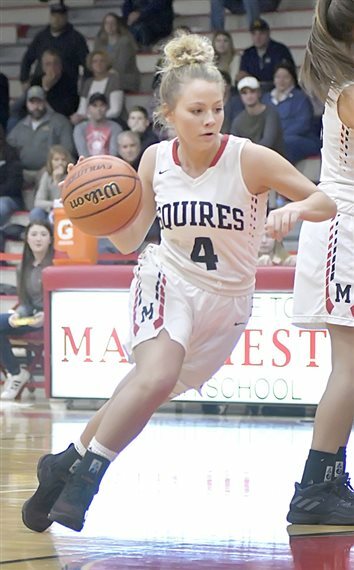 BOURBON – The Manchester Lady Squires used defense Wednesday night to overcome their shooting woes. 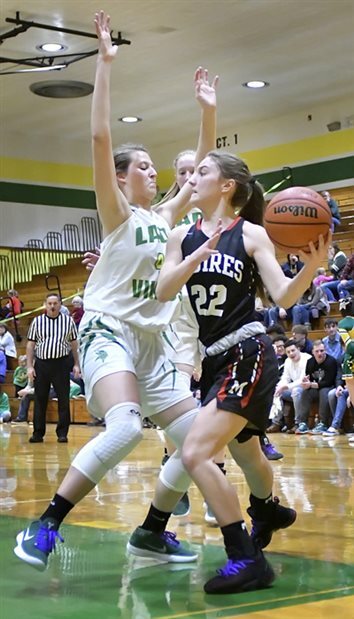 NORTH MANCHESTER – Kennedy Fierstos tallied 19 points and nine steals to lead the Manchester girls basketball team to a resounding 55-31 Three Rivers Conference home win Friday over Southwood. NORTH MANCHESTER – When it mattered Friday, Kennedy Fierstos came through. NORTH MANCHESTER – Mark Underwood has as much optimism about the upcoming season as his team has size and depth. 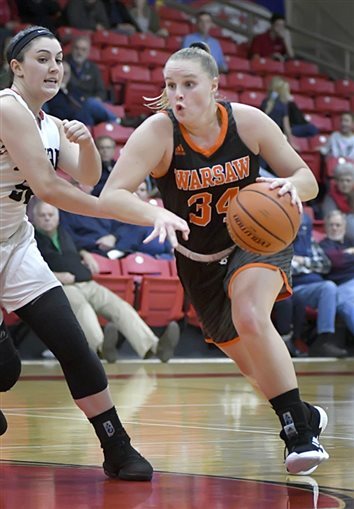 NORTH MANCHESTER – Using a second-half surge to pull away Wednesday evening, the Warsaw Lady Tigers scored their first win of the season and handed the Manchester Lady Squires their first loss. NORTH MANCHESTER – Because of what his players invested in the offseason, Manchester girls basketball coach Jacob Everett believes his team is on the verge of something special. BUNKER HILL – After a pair of lopsided outcomes Wednesday evening, the Class 2A boys soccer sectional championship at Maconaquah High School is set. 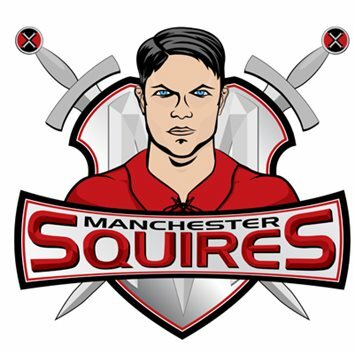 NORTH MANCHESTER – The Manchester Squires had plenty of reasons to celebrate Wednesday evening. NORTH MANCHESTER – Lakeland Christian Academy scored first, but it was the Class 2A 14th-ranked Manchester Squires that dominated Tuesday evening’s high school boys soccer game at Good Fields. NORTH MANCHESTER – The Manchester High School boys and girls soccer teams swept rival Whitko Wednesday evening, and did so in vastly different fashions. Madelyn Ray and Julia Hildebrand saved their best for last. 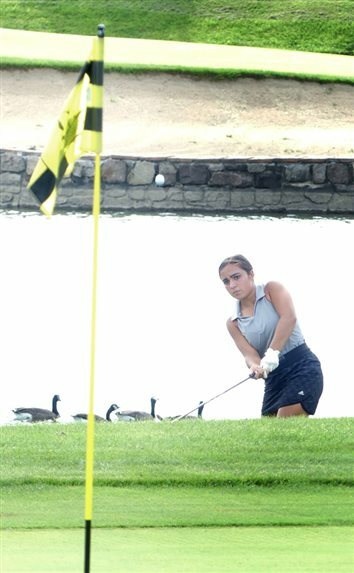 NORTH?MANCHESTER – The Manchester girls golf team was senior strong Monday. 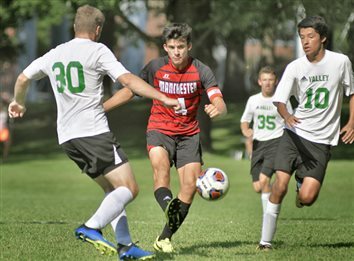 Manchester High School junior soccer player Caleb Stout has been selected as the Times-Union Area Athlete of the Week for his accomplishments the week of Aug. 20-25. 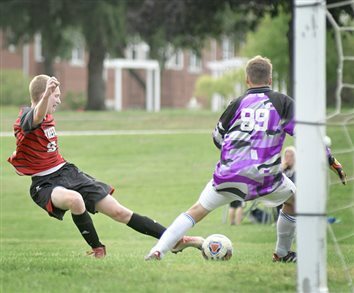 Stout kicked in five goals in two matches for the Squires last week. 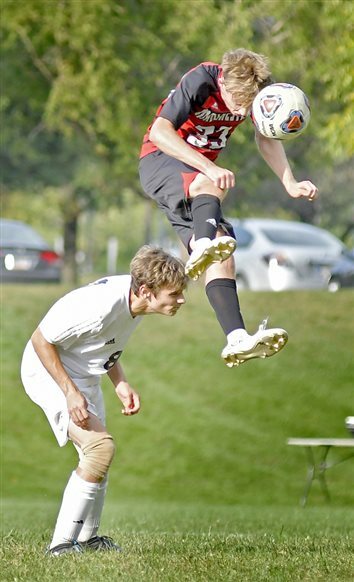 He notched a hat trick in Manchester's 7-0 rout of the Caston Comets on Tuesday, and tallied two goals and an assist in the Squires' 6-0 shutout of the Wabash Apaches on Thursday. 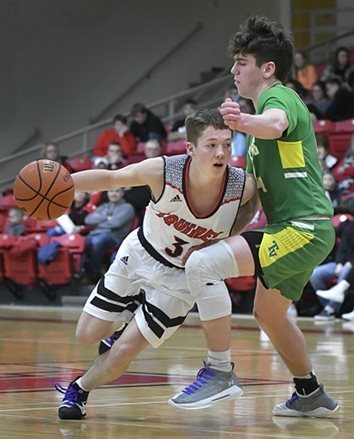 Manchester (3-1, 1-0 Three Rivers Conference) will host conference foe Tippecanoe Valley on Tuesday at 5 p.m.
NORTH MANCHESTER – Four letters are where Manchester High School head coach Greg Miller kept his thoughts Friday night. The Manchester High School football team is looking to shore up mistakes and control the tempo this season. COLUMBIA CITY – The Manchester Lady Squires improved to 2-0 in head-to-head matches Wednesday with a 178-193 win over Columbia City at Eagle Glen Golf Club. 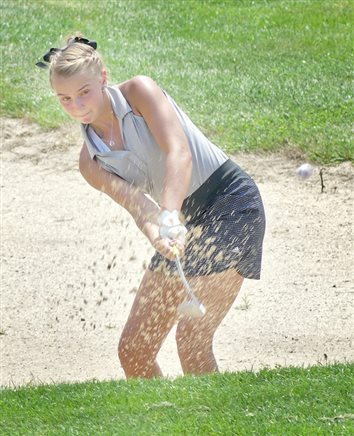 Led by senior Izzy Ray, the Warsaw Lady Tigers won a three-way girls golf match Thursday at Stonehenge Golf Club. 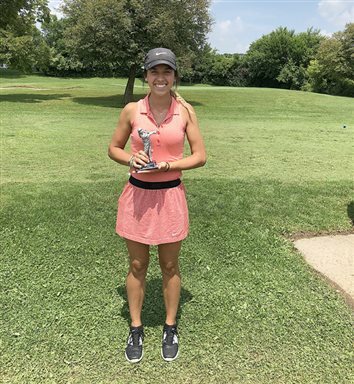 HUNTINGTON – Kelsey Eichenauer shot the best score of her prep golf career Wednesday, leading the Manchester Lady Squires to a third-place tie among 14 teams in the Huntington North Invite at Norwood Country Club. FORT WAYNE – The Manchester Lady Squires opened the 2018 golf season by playing in a loaded field at Chestnut Hills Monday. The 14-team Homestead Invite featured eight teams that advanced to the regional last year. 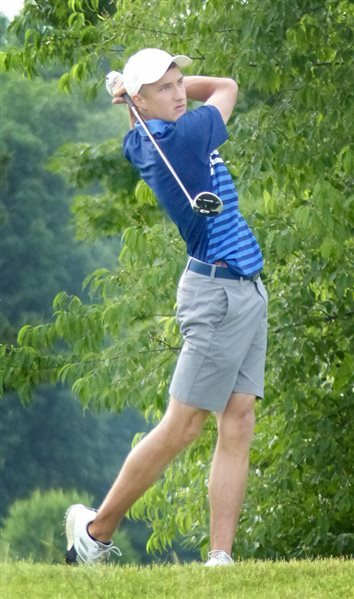 CARMEL – Fort Wayne Bishop Dwenger’s Logan Ryan claimed a playoff victory for the individual title and the Carmel Greyhounds won a record-tying sixth team title at the 82nd annual IHSAA boys golf state finals Wednesday at Prairie View Golf Club. 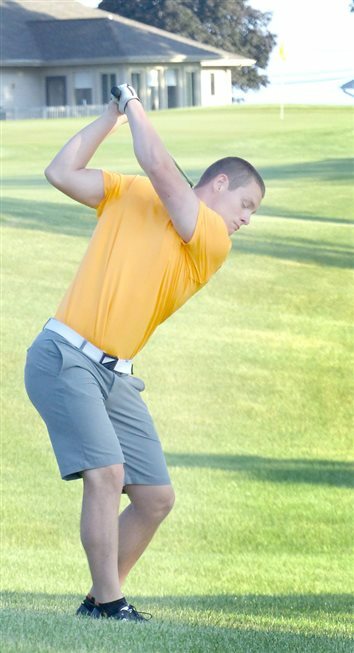 CARMEL – Manchester High School sophomore Harley Kruschwitz carded a 4-over 76 at Prairie View Golf Club in Carmel Tuesday and entered today’s second round of the IHSAA state finals in a tie for 22nd place among 100 competitors. 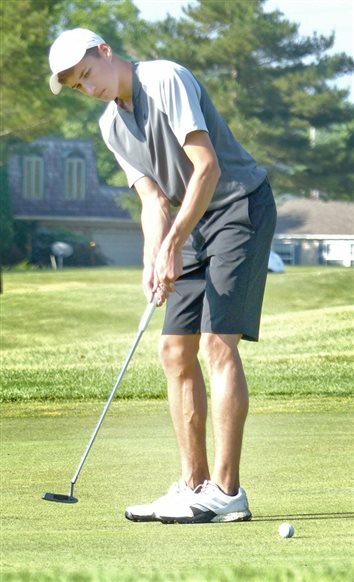 In terms of local high school golfers, Manchester sophomore Harley Kruschwitz is the last man standing. NORTH MANCHESTER – Manchester High School held its spring sports awards night on Thursday. 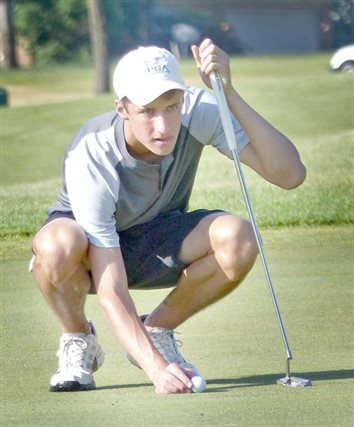 One of the strengths of Warsaw’s boys golf team, said second-year coach Rich Haddad, is its depth. 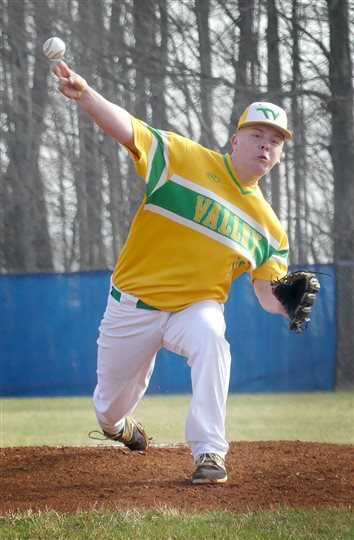 WABASH – The fifth-ranked Cass Kings scored three runs in the bottom of the first inning, got a gem of a pitching performance from Reece Rodabaugh, and proved to be the royalty of Class 2A Sectional 37 at Wabash High School’s Chris Rood Field. NORTH MANCHESTER – Manchester High School will be hosting the 14th annual Northern Indiana Race Weekend on June 9-10. 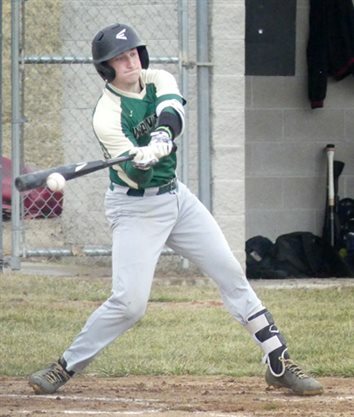 CHURUBUSCO – The Manchester baseball team won 6-1 at Churubusco on Tuesday. CULVER – With all eyes on their match, Warsaw’s No. 2 doubles team of juniors Rachel Yeager and Raegan Merchant rallied to win a three-set thriller in Tuesday’s regional semifinals at Culver Academies. 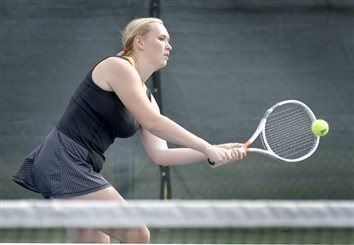 PERU – The Manchester Lady Squire tennis team won 4-1 over Southwood to claim its third-straight sectional title on Friday. 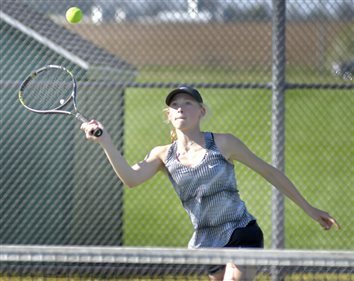 AKRON – Following a convincing win at Tippecanoe Valley Monday, the Manchester Lady Squires are still unblemished in Three Rivers Conference girls tennis action.